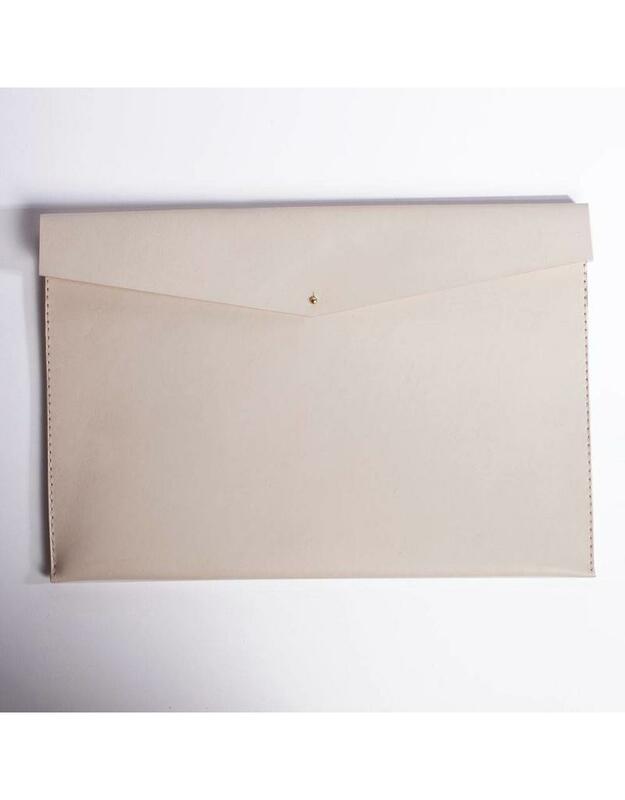 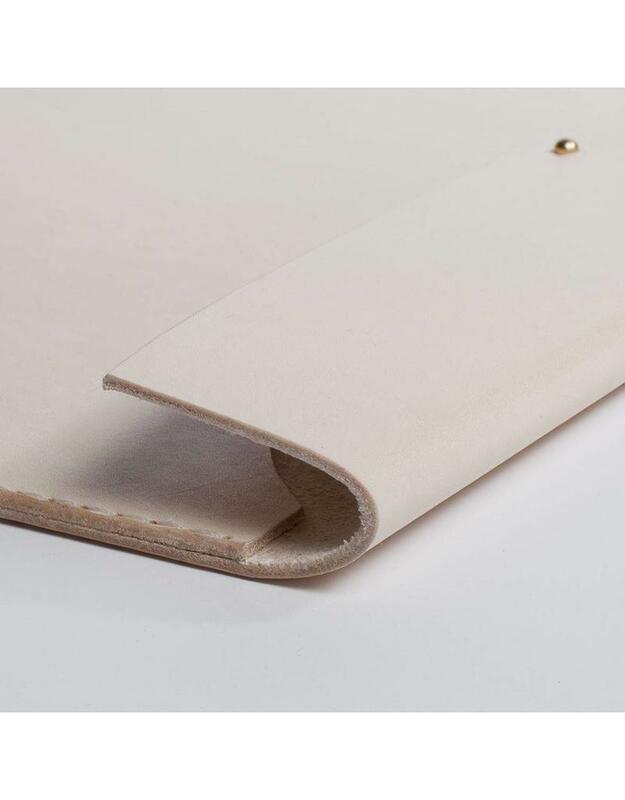 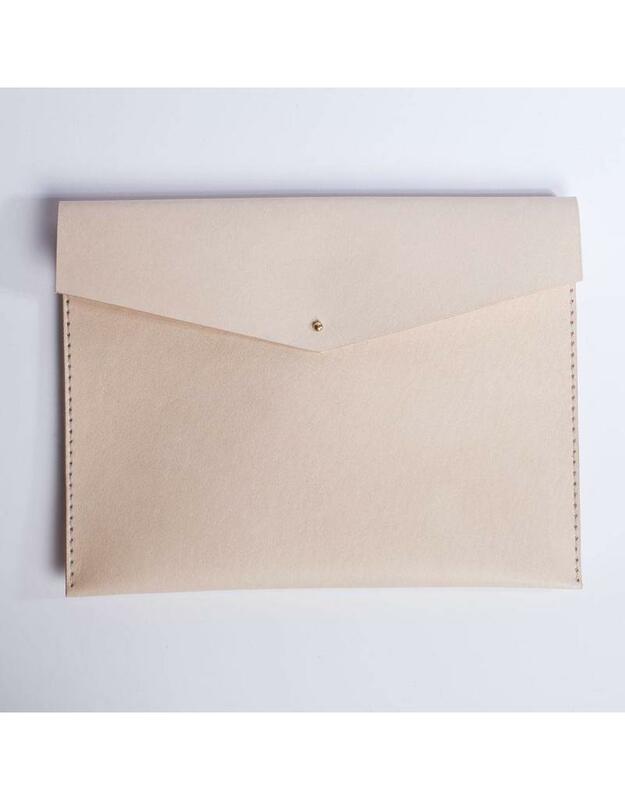 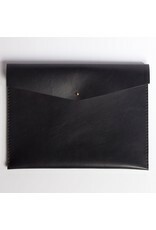 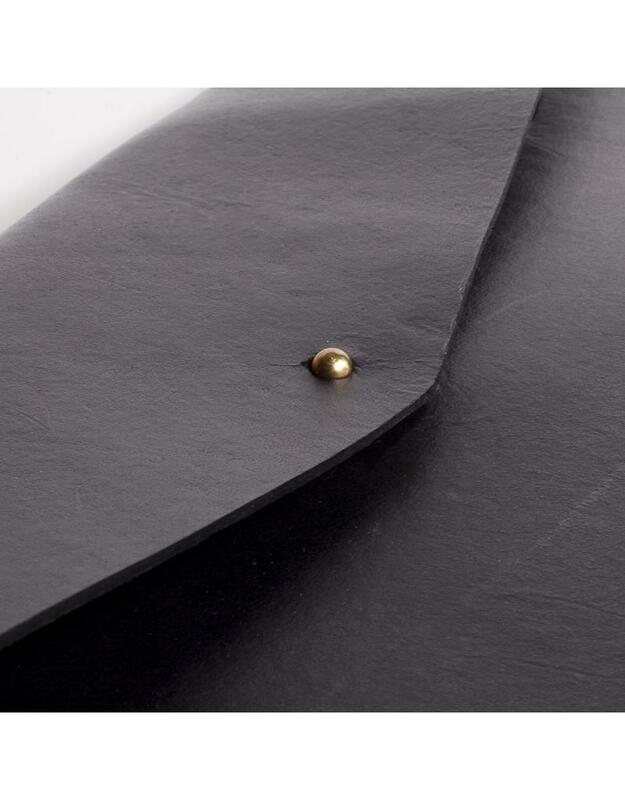 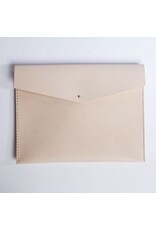 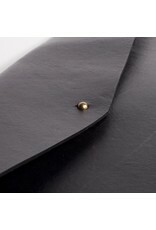 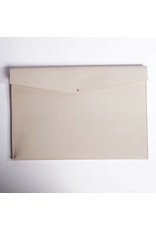 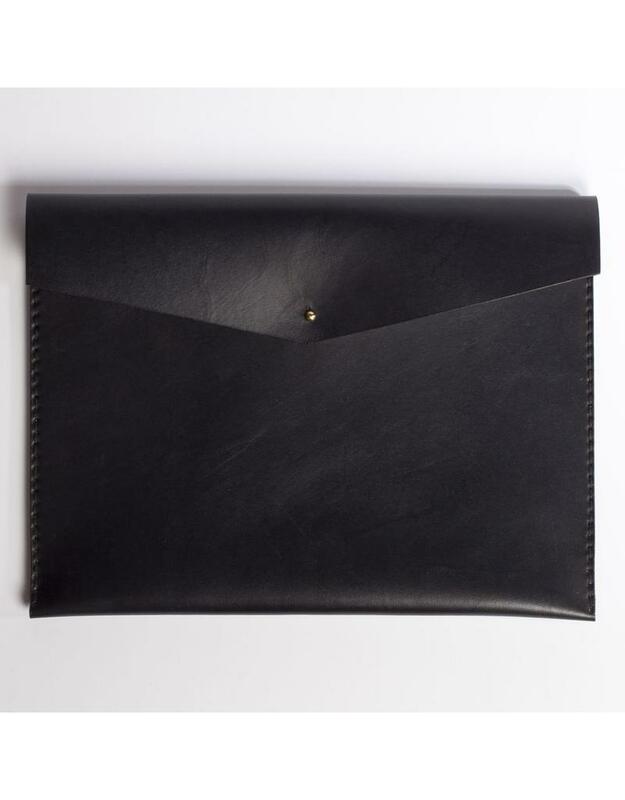 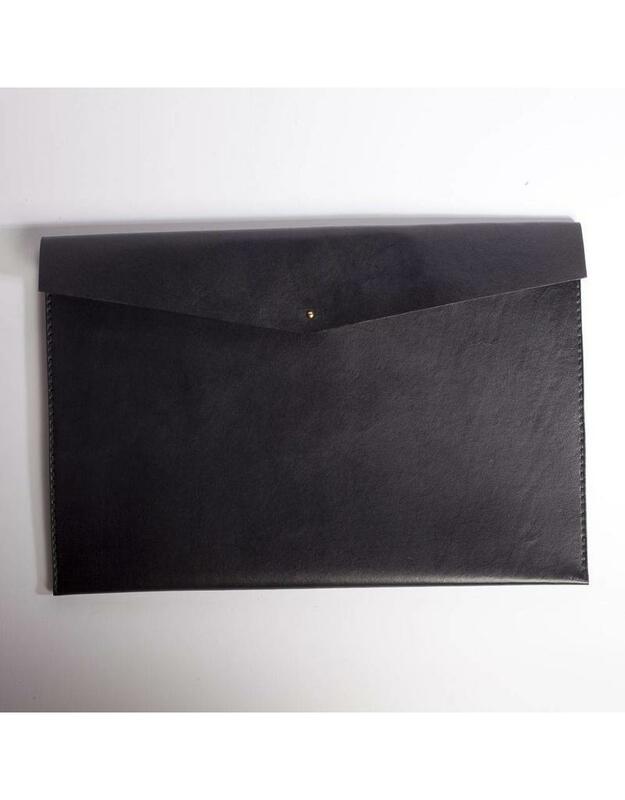 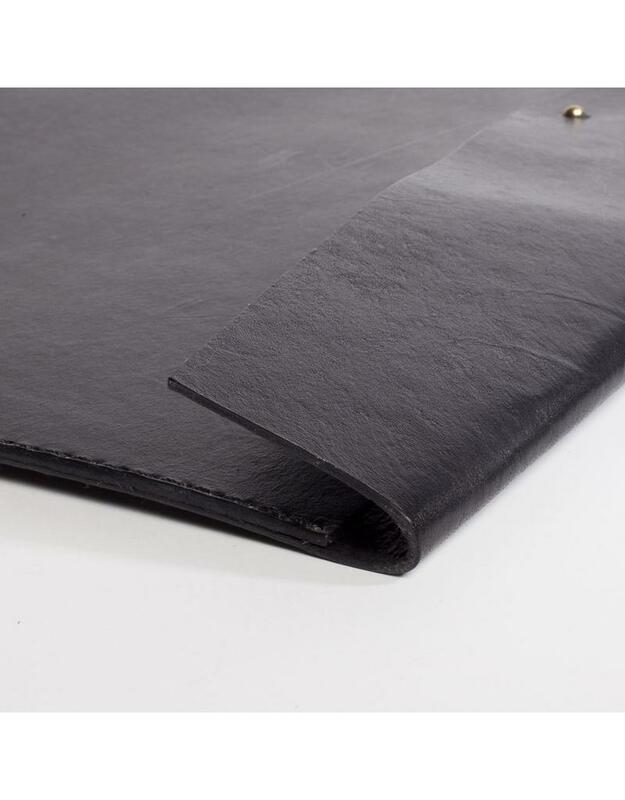 These leather document cases are handmade in the US by Minneapolis based Solid Manufacturing Co. Their simple envelope style features a brass button closure and hand stitched sides, providing a sturdy carrier for your personal items. 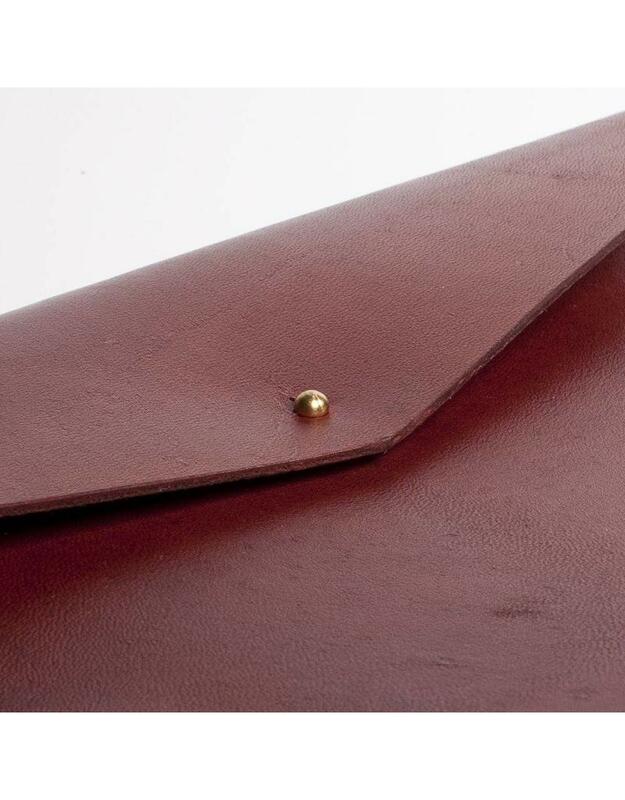 Made from genuine leather and tanned with vegetable dyes they will soften and develop a unique patina as they age. 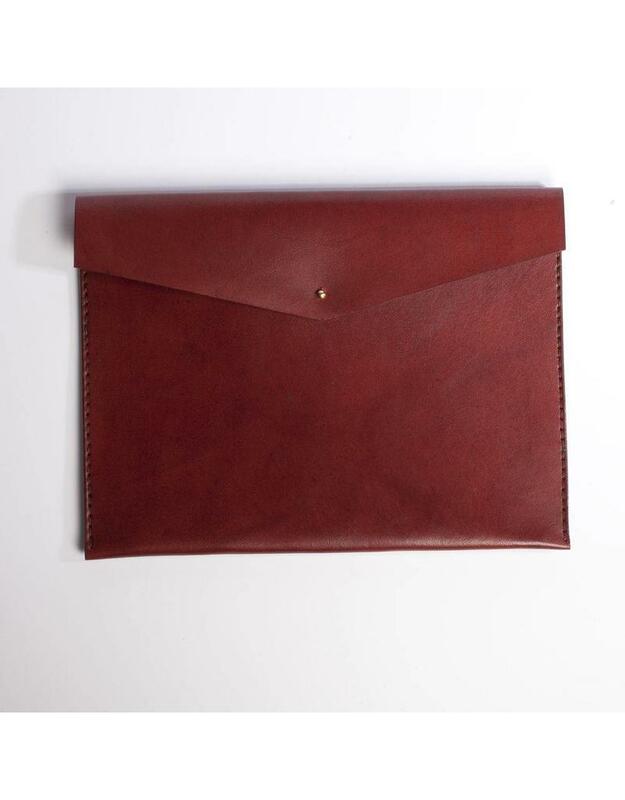 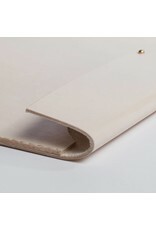 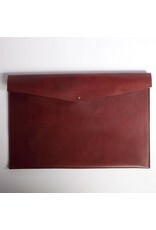 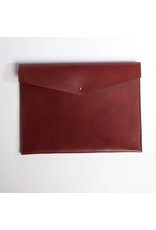 Available in natural, maroon or black and made in two sizes to fit a range of tablets, laptops and paper documents. 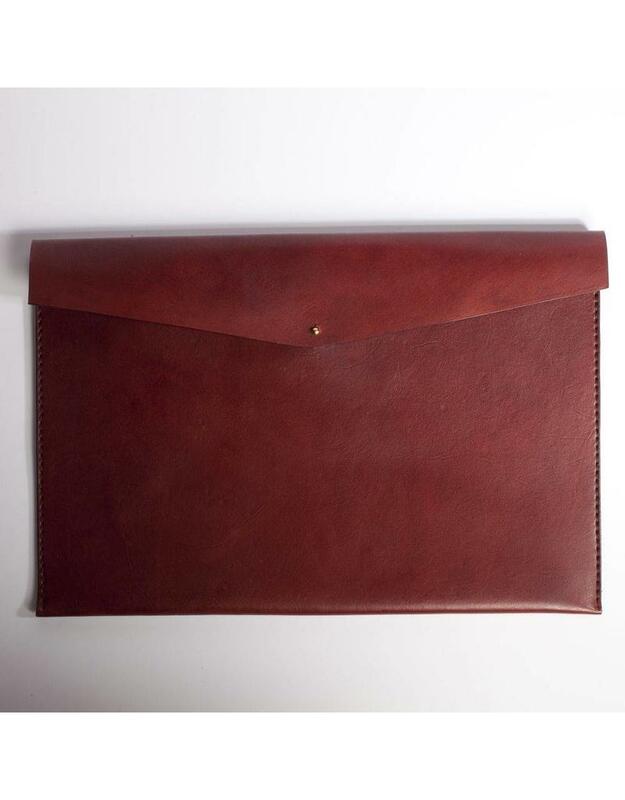 Standard A4 / iPad case measures 9 x 12 inches. 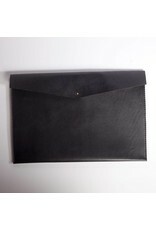 Large tabloid / laptop case measures 11 x 17 inches.